The Federal Maritime Commission announced Aug. 23 that it has revoked the ocean transportation intermediary license of Los Angeles-based Transporte Medrano Inc., which does business as Medrano Express. The revocation means Medrano Express is no longer authorized to provide ocean transportation services in the United States, and the FMC has stated that consumers and businesses should no longer tender cargo to Medrano Express or its agents for the international shipment of goods. The Commission’s revocation action came after it began receiving complaints that consumers have been unable to reach Medrano Express or locate their goods. In addition to Los Angeles, Medrano has offices in other major cities across the US, including Baltimore, Chicago, Dallas, Miami and Minneapolis. Anyone using Medrano Express to arrange for international shipment of their cargo who is currently experiencing problems with a shipment, is being encouraged by Maritime Commission to take certain steps. First, if cargo has not been delivered or recovered, you may place a claim for compensation via mail with surety company Roanoke Trade Services, Inc./For American Alternative Insurance Corporation Attention: Steve Knutson 1475 E. Woodfield Road, Suite 500 Schaumburg, IL 60173 USA. The claim should include a copy of the invoice received from Medrano Express or its agent, plus the dollar amount paid to Medrano Express for shipment of goods, and the estimated value of the goods shipped. Also, bond coverage number 571646 should be referenced in the claim, and claims should be sent by certified mail, with a return receipt requested. 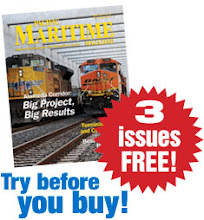 The FMC also says that claimants should contact the Maritime Commission’s Office of Consumer Affairs and Dispute Resolution Services, which is working to help consumers locate their cargo and assist with the release and/or delivery of cargo, when possible. Written requests for assistance should include a copy of the invoice received from Medrano Express and your contact information. The information can be emailed or faxed to complaints@fmc.gov or (202) 275-0059.